Old Spice has a reputation of weird commercials. 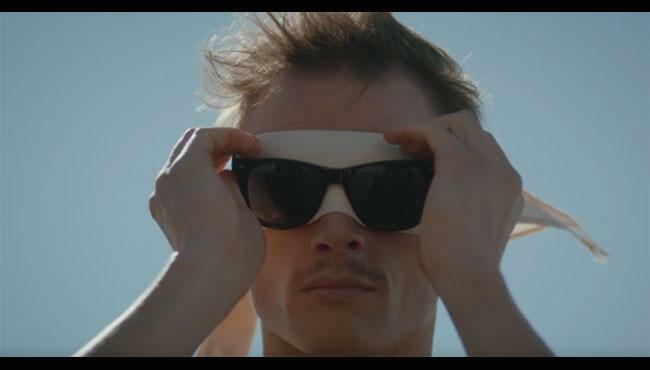 Now the brand launched a new campaign featuring a new kind of super hero who aims to break the cool limit. Old Spice says that all you need to break the cool limit is Old Spice Dirt Destroyer and disposable income. The Old Spice commercial titled "Whale" has the new spokesperson play tennis on the back of a while. The balls are coming out of the whale's blowhole. Yes, and that is not all that is weird in this commercial. Watch below to find out what the whale is wearing. We have the suspicion that a lot of weed was used coming up with this commercial. The second new Old Spice ad has the new hero break the speed limit in a rocket car that looks a bit like out of Star Wars. That ad is by far not as crazy as the whale ad. Old Spice regularly uses the pre Super Bowl time to release new campaigns. The new commercials have Super Bowl quality, but it is not clear if Old Spice is actually advertising in the Super Bowl 50 on Feb. 7. Find out which Super Bowl 50 Ads will be airing during the Big Game in 2016.